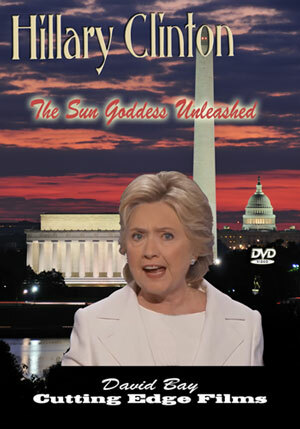 When Hillary Clinton wore that full length white pantsuit on the night she accepted the Democrat Party nomination for President, she was reaching back into time nearly 4,000 years to symbolically declare that she was the Sun Goddess in the Zoroastrian Tradition, exactly the symbolism the Roman Catholic Pope uses nearly every day to declare that he is the Sun God! She was declaring that she was transcending politics in this present time, because she was spiritually transformed into a goddess! We explore this white outfit phenomenon from the occult world, and by looking back at other facts in her life and career, we prove that Hillary is a high level Illuminati Witch and that she is poised to complete the 'Co-Presidency' that Bill Clinton promised in 1993. If 'elected', Hillary is spiritually and politically prepared to surrender American sovereignty in the North American Union, establish tight Gun Control and implement the final changes needed to move this country, and the entire world, into the global government and economy into the Kingdom of Antichrist, a.k.a. New World Order. Her white outfit tells the full, disastrous story, one that true Christians must understand.